We’re incredibly grateful for the commitment and support of Lisa & Tom Genereux! Not only do they volunteer to serve dinner every first Monday of the month, but Tom also serves on our Finance Committee. Earlier this month we received a $10,000 gift from Lisa which was matched by her employer, Dell, Inc.! Lisa & Tom have also given many in-kind donations from granola bars to computers, and have answered our requests very generously. We are deeply appreciative by their investment and caring of the young people we serve. 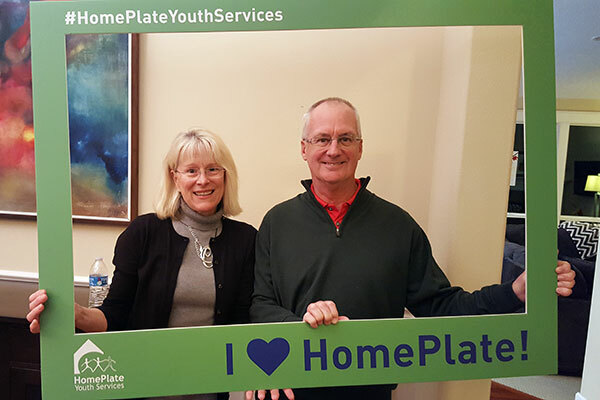 Thanks for all that you do for HomePlate!